Rockland Trust is moving further into Worcester County as the bank is opening a Worcester location next month in the Mercantile Center. To run the new 100 Front St. location, Rockland Trust has named Worcester banking veteran Michael Crawford, formerly the executive vice president and chief operating officer of Commerce Bank, which was acquired last year by Berkshire Bank in Boston. 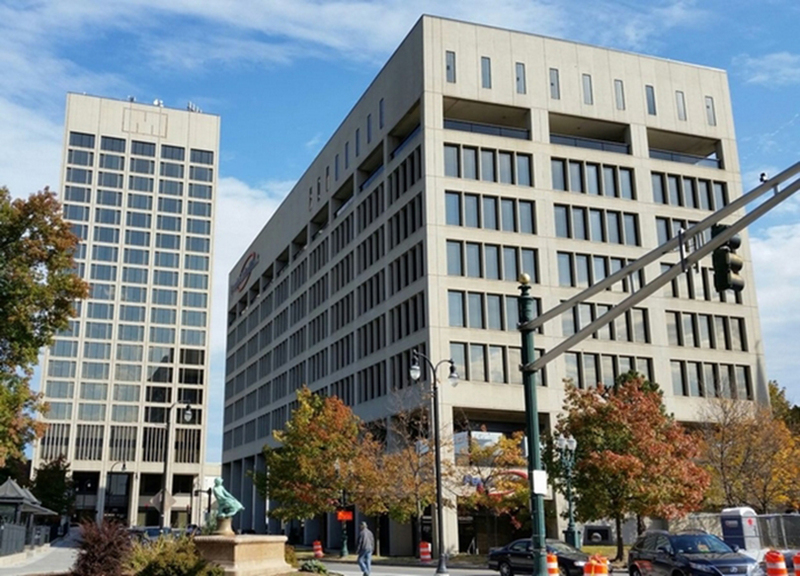 According to Rockland Trust, Crawford will lead a team of commercial lending, investment management and treasury management officers in the downtown Worcester location. Crawford spent 15 years in that role, but has more than three decades of banking experience, including senior management roles at Citizens Bank, US Trust, Bank of New England and Bank of Boston. Gerard Nadeau, president and chief commercial banking officer at Rockland, in a statement called Worcester a vibrant and thriving community. “We are delighted to have Mike on our team to lead our new office in the heart of Massachusetts,” Nadeau said in the press release. The location will be the bank’s third in the county and first in the city. The transaction comes about five months after the bank announced it planned to close on a deal to acquire Milford National Bank for $54.2 million. Other Worcester County locations include Milford and Bellingham. According to Rockland’s website, the bank has two locations in Franklin, which is in Norfolk County.